Now that we have seen the historical foundations of the Baptist church and that they can be traced back to the Particular Baptists, we now need to reclaim our heritage. The longer we stay away from Reformed doctrine the longer we will see a decline in biblical knowledge and spirituality. We must see that Baptist heritage is strongly rooted in the Reformation which reclaimed Scripture from a pragmatic church. As we look around us today, we see that most Baptist churches (and for that matter the Evangelical church as a whole) are eaten up with pragmatism. If we are going to see Reformation today, we must call ourselves back to our Reformed heritage. 11:58 AM What Rick Warren and Jimmy Carter have in common. 11:57 AM Some 59 years after the war, meet the new axis. It may be noteworthy that Douglas MacArthur and Robert Welch both opposed this country's involvement in Vietnam. MacArthur understood that a conventional American military force committed to a war of counterinsurgency in Southeast Asia was as likely to bring disaster to the United States as it did to the French. Welch had similar concerns, but raised the issue of another American military adventure abroad without a Constitutionally required Congressional declaration of war. Similarly, the present occupation and war of counterinsurgency in Iraq has had more responsible conservative-Right critics than Bush and his minions in Corporate Media have been willing to acknowledge. Colonel David Hackworth, Pat Buchanan, Ron Paul, Howard Phillips, Reagan's NSA Chief General William Odom, ex-CENTCOM chief/Marine Corps General Anthony Zinni, and Constitution Party Presidential candidate Michael Peroutka have all stated from the beginning that military, political, and economic disaster was at hand in Mr. Bush's Congressionally undeclared preemptive war in Iraq based on fraudulent intelligence estimates. 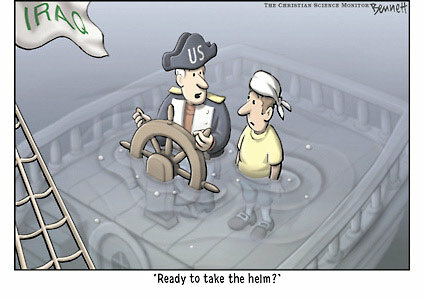 Just over a year later, it is apparent that these patriotic, starboard leaning Americans were, and are, correct. Mr. Kerry, who voted for Mr. Bush's war, now claims to oppose it while advocating the committal of even more American manpower to this clear disaster. Mr. Bush continues to insist that his actions were/are justifiable and sustainable in the wake of a credibility plunge that has not yet hit bottom, even in the aftermath of the Abu Ghraib catastrophe. American voters who truly believe that both our Constitution and old fashioned common sense were jettisoned in this offensive, preemptive military action and occupation in the Middle East have only one of three viable choices in the upcoming Presidential sweepstakes--Michael Peroutka of the Constitution Party, Ralph Nader, or the Libertarian nominee. The War Party has its bets covered with either King George or Kerry. In light of all this, not just Southern Baptists but all Christians – and all people who wish to live lives free of the fetters of the omnipresent and omnipotent state – have plenty of reason to leave the federal government’s (Pharaoh’s) school system. Clearly, government schools are producing graduates utterly unsuited to live in a free society. There is no need to fear that abandoning government schools means abandoning education – as educrats will argue hysterically if this resolution is adopted. We now have evidence that homeschooled children are usually around four years ahead of their government-schooled counterparts in every major subject area. They win awards, go on to attend prestigious universities, and even occasionally write books. To adopt the resolution would be a radical step for Southern Baptists, who have always assumed that Christianity and government education were compatible. However, given the tailspin government schools have been in during the past few decades, when the Southern Baptist Convention holds its annual meeting in Indianapolis beginning on June 15, the nation’s largest Christian denomination might just reconsider its stance. If it does, we can expect shock waves to reverberate through this country’s education establishment. 8:32 AM My interview with Robert Lloyd on WDXB will be aired this Wednesday, June 2, atwww.dixiebroadcasting.com. 8:30 AM Presidential candidate Michael Peroutka: 100 percent pro-life. 8:53 AM Who said it? All the miseries and evils which men suffer from vice, crime, ambition, injustice...proceed from their despising or neglecting the precepts contained in the Bible. Noah Webster, who died this day in 1843. 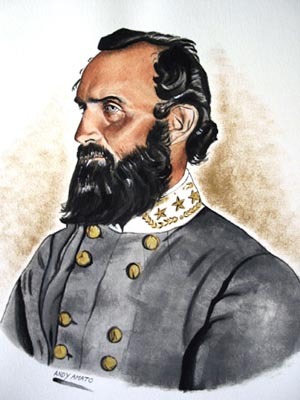 8:53 AM I just stumbled across this outstanding portrait of Gen. Jackson on the Southern Cause messenger board. 8:51 AM What is really controlling many Christians this election. Excellent insight. The truth about terrorism is that we can't fight a Fourth Generation war with a Second Generation military. An enemy that can kill 3,000 people with a box cutter clearly knows how to exploit our weaknesses to his advantage. We can invade every nation on the face of the earth and we would be no safer than we are today. 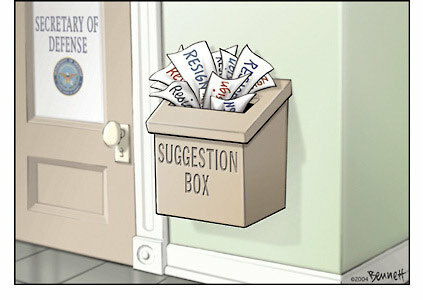 My suggestion? End our interventionist foreign policy and restore the right to keep and bear arms. Lee is doing just about as much as anyone I know for the cause of limited constitutional government. If you haven't checked out his excellent website yet, please go here. All praise and honor be unto our Savior and King, Jesus Christ! This past Saturday we returned from the Mid-Atlantic Tour! We traveled over 3500 miles for 13 days and made 20 stops in 18 different cities speaking up for our preborn neighbor. The weather was great! In the 80’s with blue skies almost the whole time. About 85 people traveled with the Tour with others coming and going to help us along the way. Everyone returned encouraged by our time of ministry from seeing just some of what the Lord had done in the hearts of men! In Florence, SC, a woman stopped to tell us that she was being pressured by her family to have an abortion. She had prayed that very morning and asked the Lord to give her a sign if He didn’t want her to do it. She ended up getting over 50 signs as she drove through our set-up!! She said she never goes down the street we were on but decided to take it that day. We were able to minister to her in the process. She is NOT going to kill her child! May the Lord use this child, a brand plucked from the burning, for His purposes!! In Savannah, GA, a woman drove through our set-up and stopped. She was astounded by the photographs. She had been planning to abort the child she was pregnant with, but after seeing our pictures, she could NOT do it! In Durham, NC, a woman who was walking by stopped to talk with an elderly woman holding a sign in our group. She was shocked over the horror of abortion. She repented right there on the street for having killed her child. The woman with our group declared the gospel to her (which she was ignorant of) and was able to give her a bible! In Lexington, VA, a police officer held one of our photographs while we were out there! In Roanoke, VA, a missionary couple from Australia came by and thought what we were doing was great. We are now working with them because they want to take what we do to Australia! In Richmond, VA, a pro-abortion counter-protester came over by where we were closing in prayer. We were able to talk with her. She broke down crying revealing that she had had a abortion. We ministered to her and she left with a bible we gave her promising that she would keep and read it! And I could go on and on!! The Tour was blessed of God mightily! We will have a full report in our snail-mail newsletter that will go out in a couple of weeks. If you are not on our mailing list and would like to receive THE FULL REPORT, you can e-mail us at mtpmilw@execpc.com. Just give us your snail-mail and we’ll get it off to you. 10:55 AM More on Pinckney's call for an exodus from government schools, which Iwholeheartedly support. 10:45 AM Why stop-loss is not only a breach of contract but slavery. 10:43 AM Bush's speech alarms even war enthusiasts. 10:40 AM Just had a very nice radio interview with Mr. Robert Lloyd of WDXB radio in Florida. We spoke about the Iraq War, the state of public education, my forthcoming book Why I Stopped Listening to Rush, and the Constitution Party and its presidential and vice-presidential candidates, Michael Peroutka and Chuck Baldwin. 9:45 AM It's been a busy time at the farm. We're just about done with the framing on the new goat barn and hope to begin putting the tin roof on this weekend. My son has also begun fencing in a new (and very large) pasture that will give us more grazing space come winter. The next big project is to construct the wood shed near Bradford Hall, then the horse barn, chicken coop, and turkey coop. Weather allowing, we intend to cut and bale more hay in the coming days. Meanwhile I am working on the syllabus for my Philippians class this summer and hope to have it posted on the seminary website early next week. It should be a fun class as we work through the book word by word and clause by clause. 12:58 PM Pastor Scott Brown on how the church can prepare men to be shepherds in their homes. 12:55 PM As my son and I were chatting yesterday he commented to me, "You know, dad, it's sad, but just about the only people who will be voting for Bush this year are evangelical Christians." The bond between Bush and evangelicals seems to be weakening, however. Die Rede des Präsidenten ist Teil einer groß angelegten PR-Offensive. Bis zur für den 30. 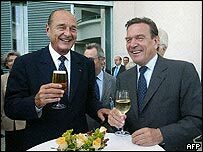 Juni des Jahres avisierten Übertragung weit reichender Befugnisse an eine irakische Übergangsregierung will Bush wöchentlich im Fernsehen auftreten. Der Präsident möchte seine Landsleute davon überzeugen, dass er einen Plan für die Machtübergabe und den anschließenden Rückzug aus dem Irak hat. Das ist auch dringend notwendig: Einer am Montag veröffentlichten Umfrage der Universität von Pennsylvania zufolge, sind 64 Prozent der Amerikaner der Ansicht, dass die Bush-Regierung eben einen solchen Plan nicht hat. 12:05 PM Michelle Malkin on our muddled multiculturalism. 11:40 AM Did any of my fellow horsemen notice that Bush said he would keep troop strength at 138,000, which would mean "extended duty for...The Second Light CALVARY Regiment"? Why are Republicans giving the UN more money and power? Why do our schools, under Bush's "No Child Left Behind" programs, teach "global citizenship" instead of a traditional American education? Why are gun control laws continuing to tighten and the socialist expansion of government accelerating under so-called conservatives? The answers should be obvious to the most casual observer. These changes are evidence of the intentional destruction of American sovereignty and liberty by US government insiders. And GW and other phony baloney conservatives are leading the charge. His "war on terror" and "educational standards" are just the excuses. It's all a sham. You have been duped I tell you. 11:35 AM In case you're interested in modest clothing.... (hat tip: Ron Holland). 11:05 AM Are state schools neutral? 11:01 AM From the Mises archive: The Trouble with Public School. 9:25 AM Time to get caught up on thanks: to Linda Craft at ReMax Realty for loaning us their moving van yesterday...to my pastor and his wife, Horace and Joyce Murray, for a wonderful Sunday dinner in their lovely home...to my Intermediate Greek students for their excellent papers, one of which I am sending to our journal editor for publication...to the building and grounds crew here at the seminary for keeping our campus looking so beautiful...and to my publisher for expediting the publication of Why I Stopped Listening to Rush. I'm sure you took a little criticism for this article. However, children's church and all the rest of the activities that keep children out of the worship services are the direct result of the total breakdown of correct biblical discipline. Parents (Christian parents included) of this generation have done a terrible job of disciplining their children…. We have always kept our children in the worship service with us. I believe it is the biblical thing to do. We have enough outside forces trying to break the family apart without adding to it in the church. 8:20 AM Thomas Fleming on Post-Christian America. 8:15 AM North Carolina Southern Baptists affirm value of public education. 7:03 AM Gary North on Rush Limbaugh. 7:55 AM Pictured below are Mr. Andrew Neamtu and his dear wife Corina. Andrew is a Ph.D. student of mine from Romania who will be exploring the history and background of the Romanian Bible translation of Cornulescu, comparing it with the Greek, French, German, and several English versions. Andrew passed his Ph.D. orals last Thursday with flying colors. Afterwards I treated them to their favorite restaurant and then visited with them in their beautiful apartment, where this photo was taken. Andrew has invited me to hold a pastors' conference in Cluj, Romania, where he will serve as translator. 7:45 AM Today is commencement at the seminary, and I would like to wish our graduates God's richest blessings in whatever place of ministry the Lord should lead them. It will be warm but clear for our outdoor ceremony, and I look forward to meeting the families of many graduates I've been privileged to have in my classes through the years. If I could remind them of one thing it would be this: Remember that the greatest work of the church is not the occasional burst of the miraculous, but the day-in and day-out testimony of Christian living in the monotonous and mediocre. Check your spiritual wardrobes daily, and when the outlook is darkest remember that the uplook will be brightest! Congratulations, and best wishes to all! 7:30 AM Off to Trinity Academy in Raleigh to speak to their second grade class on the life of a Civil War soldier. The teacher is the daughter of one of my faculty colleagues and has just finished a unit on American history. I have special permission to bring my period musket and "couters." I always enjoy educating children and youth about the most important (and costly) conflict in our nation's tumultuous history, and especially about the noble character of such men as Lee and Jackson. 4:30 PM "The biblical model is elder-led or elder-directed congregationalism," says Baptist scholar Mark Dever. "It is biblical and it is Baptist." Read more here (PDF). Teachers from six different states recently played the video of Nicholas Berg's beheading in front of their students. This unacceptable and irresponsible act only represents a larger decay in America’s current educational system. Although the media and respective school districts have renounced their actions as “inappropriate,” they have failed to identify the source of such monstrosities. I fear that Christian parents have also overlooked the source. Any educational system that removes either God or parent from the student’s process of learning is unbiblical. When a system removes both God and the parent, it becomes dangerously harmful to future generations. Scripture makes it abundantly clear that once you have “suppressed the truth of God” and “exchanged the glory of the incorruptible God for an image in the form of corruptible man,” His unavoidable wrath will follow. God has handed the public school system over to its own depravity. I am ashamed that more Christian parents have not stepped forward to proclaim the wrath of God. The few of you who have stepped forward have failed to recognize the natural outcome of God’s wrath, and condemned the results rather than the source. By only condemning the results, such as a man losing his head in front of your children, you condemn God’s wrath rather than the source of that wrath. American schools have suppressed the truth of God and rejected your involvement within your children’s education. Why do you continue to subject your children to God’s wrath by placing them in the very institutions that seek to suppress His truth? Is it not time that Christian parents once again become involved in their children’s education? Until you identify and correct the unbiblical basis for your child’s education, there will be no escape from monstrosities such as this. It is the natural outcome of a generation seeking to suppress the truth of God. 8:38 AM Debbie O'Hara, one of my favorite authors on the net, thinks all the hubbub about gay marriage is misplaced. The high rate of divorce in the Bible-believing churches of our nation is pandemic. According to Joseph Webb in "Till Death Do Us Part", one of the fastest areas percentage-wise of divorce is among ministers and their wives. Was there some fatal flaw in God's design of the marriage institution? Certainly not. It is not God's fault that we have ignored his instruction. Not having followed the Lord's prescription for marriage, should we then be surprised at the moral chaos we have created? Should we be surprised that more people are looking for us to accept "alternative" lifestyles? She goes on to note what would happen if a federal marriage amendment were passed and government got into the business of defining marriage. Read "Can Government Save Marriage?" 8:35 AM Tom DeWeese, who will be a keynote speaker at the Constitution Party's National Convention, takes on the Bush administration in "Let the Patriot Act Die." 8:02 AM A surfing competition taking place in Tahiti is bringing back lots of happy memories. 12:25 PM Yes, you can work without a SSN. Chances the resolution will pass appear to be slim at the moment. Southern Baptists have already passed one resolution urging churches to support Christian schools and home schooling and another affirming Christians who teach and work in public schools. Moreover, SBC president Dr. Jack Graham has said that while he supports Christian education, he doubts Southern Baptist will approve the measure. But Bruce Shortt says passage of the resolution is much less important than drawing attention to the already-growing movement of home schooling and starting Christian schools. I, for one, believe that Pickney and Shortt's leadership in this matter is not only heroic and courageous, but also a call from God. I see it as a breath of fresh air and something that actually gives hope for the restoration of education in America. Between 12 and 15 million evangelical Christian children attend public schools. If the mass majority of these students were to leave public education, it would cripple the one system that is doing more harm to our nation than any single thing except perhaps the popular media. Woran merkt man, dass ein Krieg verloren geht? Einmal an der Inflation des Wörtchens exit strategy, zum Zweiten am Zittern von Hand und Zunge. Da redet Prokonsul Paul Bremer plötzlich von Abzug, 48 Stunden später aber insistiert George Bush: Wir bleiben. In Nadschaf gehen US-Panzer in die Offensive, einen Tag später geht Außenminister Powell nach Canossa (alias Schuneh), wo er vor arabischen Granden bußfertig um Vergebung bittet. Drittes Signal: Seit voriger Woche glaubt eine Mehrheit der Amerikaner nicht mehr an Sinn und Wert des Krieges. 9:20 AM Has it come to this? Even staunch "conservatives" like George Will are now questioning the Bush doctrine. Read about it here. 6:22 AM Stephen Baskerville has a good essay on "no-fault" divorce, the power of family courts, and the child-support conundrum. 6:20 AM OK, so I've stopped listening to Rush. But this is going too far! Well, I guess I’m done complaining for now. Thanks for reading. For what it’s worth, the way I try to get through this stuff is to realize that now I totallyunderstand how things like the Roman Empire or the Third Reich could have happened. If the people in a certain society happen to be a lot smarter, richer, and stronger than most of their neighbors, why not conquer them? It’s for their own good. 6:08 AM Harry Potter does Damocles. 6:05 AM Tow the line, reap the benefits. 3:23 PM Should Rumsfeld go? No way, says this writer. 2:04 PM Nowadays it’s almost impossible to get 80 percent of anybody anywhere to agree on anything. The results of the latest poll from Iraq show that a staggering 82 percent of Iraqis "disapprove of the U.S. and allied military forces in Iraq." However skewed such polls may be, the truth is we’ve killed a lot of innocent civilians, destroyed numerous buildings, and alienated tons of Iraqis. See further, "Allies accused of breaking Geneva Conventions on civilian losses." 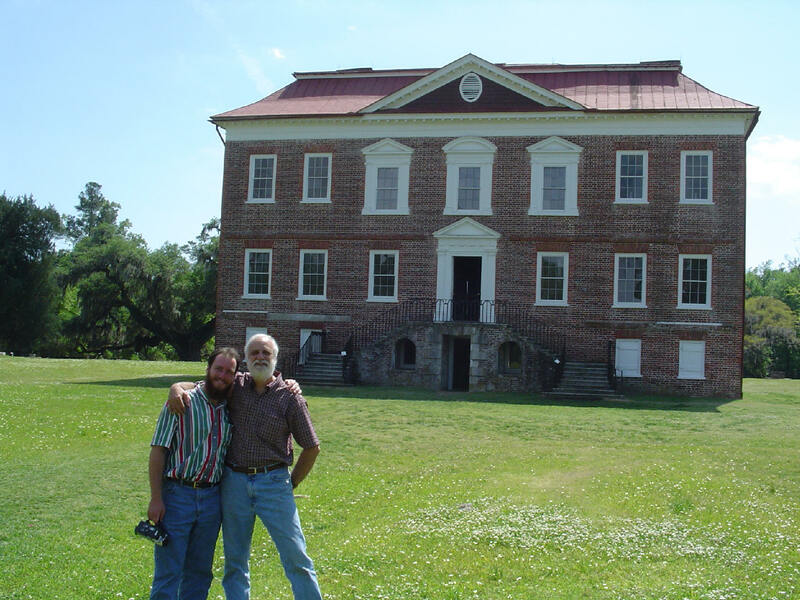 9:47 AM Ran across Lee and Jackson at Drayton Hall in South Carolina earlier this month. 8:22 AM Before you attend that Promise Keepers conference this summer, read this. 8:20 AM Listen up, you guys. It's time to give up our narrow-minded Christian bashing. Experience is what binds us together, not theology. Got it? 8:12 AM Your Olympic competitor may be a he, a she, or a ...? 8:10 AM What right does this New Testament professor have to speak out against the Gulf War? 8:05 AM This story gives a new meaning to "lighting up." Thanks for Your "above the law?" article. I am so thankful to know a born-again Christian is able to have the discernment to see the cracks in the current administration. Too many Christians fall rank and file behind this administration simply because President Bush claims to be a Christian. It is as if with that statement he can do no wrong and should be supported no matter what the policy entails. The primary gatekeepers of Christian fiction construct conventions that resolve the tension between the ministerial intention to communicate a Christian message and the industry imperatives to entertain and sell books. Inevitably, Christian authors and editors privilege the pastoral role of fiction above literary standards. The general conventions of the industry shape the content of Christian fiction and produce a generalized Christianity or one of many forms of popular evangelicalism. Christian fiction is above all else a morally conservative and audience-centered product; it is spiritually, doctrinally, and denominationally generic; it accommodates culture by sacralizing a popular cultural form yet does not engage culture; and its aesthetic form, Christian realism, tends toward softened depictions of reality. As one of many popular cultural forms, Christian fiction ministers to readers, fulfills the mandate of the Great Commission, and nourishes popular evangelicalism. 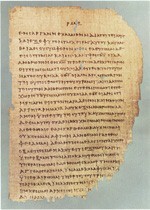 12:34 PM Peter Head of Cambridge has written a fascinating essay on some recently identified Greek Bible manuscripts. 10:04 AM Charley Reese on some black holes in Iraq. 9:43 AM The Lincoln Reconsidered Conference is fast approaching. In many churches today, the priority and focus is wrong – dead wrong. Our attention ought to be first and foremost on hearing, believing and obeying God’s Word, not on manufacturing and marketing relationships in the name of Jesus for the sake of church growth. If we try and relate to Christ before we repent to Christ, we are arrogantly attempting to micromanage what should have been surrendered – resulting in the hypocrisy of calling Christ King, but stubbornly remaining on the throne of our own lives; giving Him what amounts to lip service. Is there a better description of "Christianity" today? 9:22 AM Your tax dollars at work. 9:20 AM Third of U.S. Army unfit to fight. 8:10 AM A longtime reader sent this letter, along with a link to: "A Disaster, Pure and Simple." No amount of spinning by the Bush zealots can make this story go away. It's a stain not only on our military, but on our great nation as well. I pray that God will give President Bush the courage to call for a full-scale investigation, and not merely use a few lower ranking soldiers as scapegoats. This is a classic failure in leadership and command. I served over 20 years in the military and no soldier has to follow an illegal order. You are told this from the minute you enlist. Thanks again for your outstanding website. 8:05 AM Farm update: The chicks are hatching out at a furious rate, and we still have five hens sitting...got 170 bales on Saturday...more cutting and baling this week, weather permitting...who will catch the first bass at our new pond?...our new calves are doing fine so far...still can't believe how utterly quiet it is at night (except for the bull frogs down at the pond) - is this the life, or what?...upstairs porch furniture is now in place...still preparing for our first guests at Bradford Hall with great anticipation. Truth demands confrontation. And now we must ask where we as evangelicals, have been in the battle for truth and morality in our culture. Have we as evangelicals been on the front lines contending for the faith and confronting the moral breakdown over the last forty to sixty years? Have we even been aware that there is a battle going on? 8:23 AM Strange, isn't it, that that historically accurate movie The Passion of the Christ had only Latin and Aramaic on the titulus of the cross? John 19:20 says it also had Greek. I'm not the only one with concerns about the film's accuracy. 8:10 AM This will be a great day in chapel as we commission our students who will be leaving for the mission fields of the world. How I thank God for their radical commitment to obey the Great Commission, even risking great danger in the process. May God bless, protect, use, and bless them in every way. 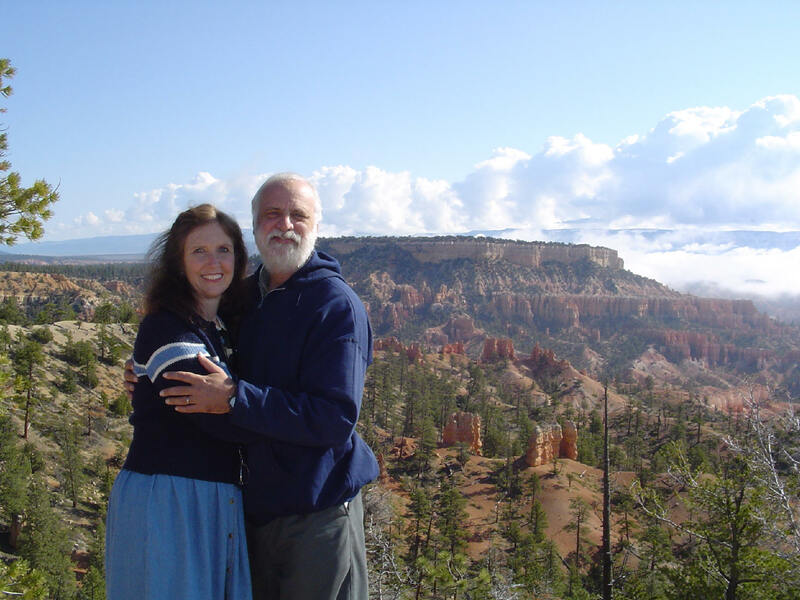 The birth of the modern home school movement might be traced back to 1983 with the rise of a national movement, the founding of the Home School Legal Defense Association, and the launching of key state organizations and publications. (Yes, the modern home education movement prospered before 1983, but in a more infancy stage.) This places home educators in their twenty-first year — their graduation year, so to speak. Even as the home school movement has come of age, it is a delight and a testimony to the Lord to see how God is blessing home educators with some of the finest resources, opportunities, and an independent network of dominion-oriented, Christ-proclaiming activities and organizations — free from government (i.e., unconstitutional and unbiblical) funding and oversight. It was a special joy for me to watch some gigantic home school choirs and bands demonstrate remarkable professionalism, even as they proclaimed Christ. 7:35 AM Opposition to the proposed SBC resolution to encourage parents to take their children out of government schools (i.e., let parents return to their historic responsibility for the education of their own children) predictably increases. "This is not mainstream," says one opponent. Pardon the sarcasm, but "Hellooo?" Since when is radical Christianity mainstream? OK, let's continue to send our little "evangelists" to school. After all, we've been doing this for years, and look how successful we've been. It's the best of both worlds: they can become "salt and light" while developing a secular mindset. Oops, I forgot: there's no difference between Christian education and secular education! In case you're interested, here's the essay that started all this. Those women there, probably mothers, bearers of ideas far too voluminous for their brains of modest capacity. If it seems a bit strange to you, it should. It's from the world's first verb-less book. 2:45 PM The apostle Paul was a fighter. What was his strategy? Many have been swept from their moorings by the current of the age; a church grown worldly often tyrannizes over those who look for guidance to God’s Word alone. But this is not the first discouraging time in the history of the church; other times were just as dark, and yet always God has watched over His people, and the darkest hour has sometimes preceded the dawn. So even now God has not left Himself without a witness. In many lands there are those who have faced the great issue of the day and have decided it aright, who have preserved true independence of mind in the presence of the world; in many lands there are groups of Christian people who in the face of ecclesiastical tyranny have not been afraid to stand for Jesus Christ. God grant that you may give comfort to them as you go forth from this seminary; God grant that you may rejoice their hearts by giving them your hand and your voice. To do so you will need courage. Far easier is it to curry favor with the world by abusing those whom the world abuses, by speaking against controversy, by taking a balcony view of the struggle in which God’s servants are engaged. Read "The Good Fight of Faith" by one of my all-time favorite authors. 2:43 PM Diploma mills are doing brisk business these days. But here? 1:45 PM Colonel Paul Hughes, the first director of strategic planning in Iraq after the war, said: "Here I am, 30 years later, thinking we will win every fight and lose the war, because we don't understand the war we are in." Read "Iraq: Time for Exit Strategy?" 12:15 PM I'll admit it: I'm a proselytizer for the Constitution Party. With only 173 days to go before the election I believe it's time to speak boldly about the evils of our two-party system. If you are open to considering an alternative, might I ask you to visit Michael Peroutka's website and read "What Others Say"? It'll help you better understand why so many of us "conservatives" have left the conservative movement for the CP. 11:58 AM I'm glad to report that the calves arrived at Rosewood Farm in great shape. Not having a cattle trailer, my son, ever the inventive one, secured our large dog kennel to the top of our Hardee trailer. It did the job just fine - and saved us the expense of buying a trailer we would use only a couple of times each year. My wife has decided to name the calves alphabetically - A to Z - so we can keep track of which calf we got when. I can't wait to see them next time I get out to the farm. Meanwhile some folks from California took a long look at our Oxford property. There may be an offer in the making. We'll see.... After all, we were living on the Left Coast when we bought the home back in 1998. 11:56 AM Today's chapel message was delivered by my friend and former student Finney Matthews of Alpha Ministries, India, whose Board I have the privilege of serving on along with Dr. Paige Patterson of Southwestern Seminary and Dr. Bill Bennett, our campus chaplain. The work of Alpha Ministries in northern India has grown despite tremendous persecution. Finney's message from Acts 4 was a stirring cry for the church to remain bold in the midst of political and spiritual opposition. To listen, go to the seminary's website: www.sebts.edu. 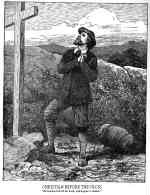 God, humble my pride, extinguish the stirrings of my ego, obliterate whatever remains of worldly ambition and carnality, and in these last days of a mortal existence, help me serve only Thy purposes, to speak and write only Thy words, to think only Thy thoughts, to have no other prayer than: "Thy will be done." In other words, to be a true Convert. I thought of those words as I received in the mail last night the page proofs to my book Why I Stopped Listening to Rush: Confessions of a Recovering Neocon. The account is an incomplete overview of my pilgrimage from Republican "conservatism" to the new patriot movement afoot in the land. Once I have reviewed the proofs and the cover, the book will go to press. When Socrates took the hemlock rather than submit to the dominant philosophy of his day, he did so with the full conviction that in this battle nothing less than the survival of Western civilization was at stake. Today, human civilization itself is at stake. I make no claims to say anything new about our culture wars in my little tome, but I am profoundly concerned about how people think. I rarely get as excited about a book as I am about this one. It joins many others in trying to get to the root of the crisis we face in America. Look for it to be available this summer. Some people at that Iraqi prison say that American torture even led to death. In November, Staff Sgt Ivan L. Frederick II, a 37-year-old MP with years of experience as a prison guard in Virginia, wrote that an Iraqi prisoner under the control of what the Abu Ghraib guards called "O.G.A.," or other government agencies—the C.I.A. and its paramilitary employees—was brought to his unit for questioning. "They stressed him out so bad that the man passed away. They put his body in a body bag and packed him in ice for approximately twenty-four hours in the shower. . . . The next day the medics came and put his body on a stretcher, placed a fake IV in his arm and took him away." The dead Iraqi was never entered into the prison’s inmate-control system, Frederick recounted, "and therefore never had a number." Murder is murder, abuse is abuse, whether committed by Iraqis or Americans. 7:57 AM You know the church is in trouble when most of its ministers use a paraphrase in their work. RALEIGH, NC 7:15 - 8:45 a.m. at McDowell St. & Lenior St.
DURHAM, NC 11:30 a.m. - 1:00 p.m. at N. Roxboro Rd. (Bus 501) & E. Club Blvd. CHARLOTTE, NC 11:30 a.m - 1:00 p.m. at E. Harris Blvd. & N. Tryon St.
At each stop, the missionaries will line the streets with large five foot photographs of murdered preborn babies. The photographic display will include babies killed by abortion in ALL THREE TRIMESTERS, as abortion is legal in all three trimesters in America. They will also pass out 100,000 pieces of literature during the twelve day Tour which expose the atrocities committed against the preborn. Since 1973, after the infamous Roe v. Wade decision, over 42 million preborn babies have been killed by abortion here in the United States. Now the people of Raleigh, Durham, Greensboro, and Charlotte will be able to see for themselves exactly what a preborn child looks like after he or she has been in the hands of an abortionist. I fully support this effort, led by Pastor Matt Trewhella. For more information, please see hiswebsite. 5:50 PM Bush debates Bush. Hilarious! I am convinced that children of all ages should be with the parents in the house church meeting. If we take Eph 6:4 at face value, it is the father who is to train his children, not another adult teacher. The father who teaches his children the things of the Lord six days a week will not need someone else to do it on Sundays. Read "Turning the Hearts of the Fathers." 3:10 PM Here is one habit I need to cultivate. 2:58 PM This response to a recent blog posting is a good reminder that we all struggle with our bodies, though in different ways. I just read your blog post about overeating. I thought I'd mention that another sin (or pair of often related sins) I've noticed are frequently overlooked (or simply unnoticed) in the church are anorexia (and other eating disorders) and self-injury. As the friend of several teenage girls who are dealing or have dealt with these issues I do wish the church would pay more attention to them. Sadly, there are so many sins to pay attention to that invariably some will be overlooked. 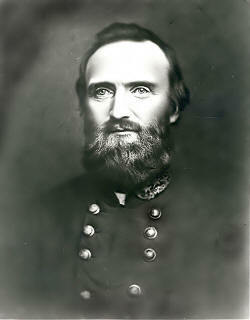 2:35 PM This week marks the anniversary of Stonewall Jackson's death. I cannot think long about this great American without tears welling up in my eyes. In the lament I published last year, I cited some of Jackson's more famous aphorisms. My favorite is undoubtedly this one:“Duty is ours; consequences are God’s.” Requiescat in pacem, dear General. 2:30 PM The latest "extreme" sport? 2:15 PM Any minute now my wife and son will be picking up our new calves from a farm in western Virginia. We plan to raise several each year, butchering two for their meat each fall. We could probably make do with just one for our family's beef needs, which means we can sell the meat from one cow. Eventually our plan is to sell farm-fresh chicken, goats, cows, and turkeys to anyone who wants to KNOW what the animal they purchase has eaten. 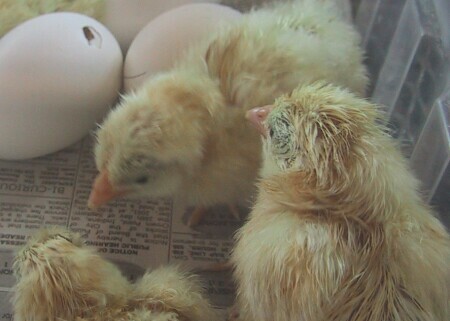 Oh, did I mention the farm-fresh eggs? 12:33 PM Last week I returned to light weight lifting after a hiatus of several months due to shoulder surgery. It feels great to get back to the gym, and I enjoy (and have missed) the special comradeship among lifters here at Southeastern. In my opinion, you’re never too old, too overweight, or too out of shape to start weight training. In a Tuft’s University study, the participants (all of whom were over 50) increased their daily energy expenditure by 15% through just 30 minutes of light weight training three days a week. Even though they ate about 350 more calories per day, the subjects lost an average of 4 pounds of fat over the 12-week training period. The message? We can turn the clock back. The only question is: Are we willing? So, with your doctor's approval, I encourage you to begin exercising today. Weight training is a good option, if you've never considered it before. Sessions of about an hour in length, two or three times a week, will get anyone off to a good start; even many experienced weight lifters don’t invest more time than this. Lifting is one of the best things you can do for your metabolism, and whether you wind up eagerly awaiting each workout or just cheerfully tolerating it as necessary maintenance, it will almost certainly give you a stronger, leaner body, and more energy. Not a bad return on the investment of about 3 hours a week, including showers! 12:29 PM Alexander Strauch's pamphlet on biblical eldership and church leadership is available online free of charge. It remains perhaps the most readable and Scriptural overview of New Testament principles of eldership ever written. Speaking of Karpinski, she’s received only a mild slap on the wrist as the brass were circling the wagons. Not a good sign that our country’s commanders intend to own up to their respective roles in this catastrophic breach of human rights, which will have consequences we all will have to pay for many years to come. 9:50 AM Just read this excellent essay on the "Deceitfulness of the Heart" by (of all people) David Black (d. 1806). Pilgrimage has consequences. Sustained reflection on this theme will reap several benefits for us. First it will subvert common misunderstandings of the Christian life. The besetting problem for American Christians - evangelical or mainline - is an overwhelming self-confidence that attends our notions of the Christian life. One advantage to singing the great hymns of the faith is their emphasis on our weakness and frailty. Foreign words and phrases are hardly apropos. Don’t be redundant or use more words than necessary; it’s highly superfluous. Even if a metaphor sings, it should be derailed. Analogies are like feathers on a snake. 8:40 AM The Constitution Party's presidential nominee Michael Peroutka has just picked up another major endorsement, this time from K.C. McAlpin, the Executive Director of the U.S. Immigration Reform Political Action Committee - "a national committee that unites the concerns of the vast majority of the American people who want to see their immigration laws enforced - and want to see common sense limits put on immigration, and things done to, for instance, to stop the threat of terrorism." At least Peroutka is willing to face squarely our "Immigration Madness." 7:17 AM Rosewood Farm update: Yesterday, with the help of some seminary students (from Ghana and Kenya) we moved furniture up to the farm, including a late 1800s grand piano that four men could barely lift. It's still in beautiful condition, and most of its keys still operate. We are now preparing to receive our first guests at Bradford Hall - two pastors and their families. 7:52 AM Ask for permission first, then pray. 7:30 AM The latest on the SBC resolution on government schools may be found here. Each of you, for himself, by himself and on his own responsibility, must speak. And it is a solemn and weighty responsibility, and not lightly to be flung aside at the bullying of pulpit, press, government, or the empty catchphrases of politicians. Each must for himself alone decide what is right and what is wrong, and which course is patriotic and which isn't. You cannot shirk this and be a man. To decide against your convictions is to be an unqualified and inexcusable traitor, both to yourself and to your country, let man label you as they may. If you alone of all the nation shall decide one way, and that way be the right way according to your convictions of the right, you have done your duty by yourself and by your country- hold up your head! You have nothing to be ashamed of. 7:05 AM It was great to be back at my home church in southern Virginia after being away for several weeks preaching elsewhere. After the service I took my wife to her favorite restaurant for Mother's Day to enjoy Ethiopian food. This weekend was as busy as ever. Got a good deal on a hay mower we had been looking for for some time. Looks like it's shaping up to be a good week to cut and bale. The big news is that on Tuesday we are getting our first cows (calves, that is), which we will raise for meat. Today I've a got a moving van, and some students will be helping me move our heaviest furniture and our organ/pianos to the farm. 8:57 AM Baptists were not always so loath to practice church discipline. 8:22 AM Have you noticed how beautiful it is today in central North Carolina? Somebody needs to take a nice long ride this afternoon. 8:20 AM Tom Ascol asks "Why Work for Reformation within the Southern Baptist Convention?" 8:18 AM "India Undaunted" brought back many happy memories of my weeklong ministry to Indian pastors in the state of Kerala. 8:16 AM La historia muestra dónde la conciencia y la tradición chocan, la mayoría del pueblo de Dios van con la tradición. Ahora mismo, la pregunta está delante de la casa... ¿Qué va a hacer usted? Read El Cristianismo Pagano. 8:10 AM District 4 Superintendent Dr. Gary Burgess said, "She has been placed on paid administrative leave. We are investigating and I cannot comment further at this time." The parent who brought the concerns to the district, John Cummings, said, "This is a district matter between the district and its employee. If people want the truth they will contact the district. "Guess what this teacher's crime was? 8:07 AM To my Greek students: for an excellent and succinct guide to the textual variants in the Greek New Testament, go here. (1) We allow virtually anyone willing to walk an aisle, say acceptable words, and be baptized to become members of our churches. This dilutes, as Whitney said, our message and liberalizes our message. (2) Once on a church role, the only means of removal at most SBC churches are death or voluntary withdrawal ... the latter usually due to moving to another area. This allows non-participating “members” to swing the outcome when a contentious issue comes up. (3) Because we allow the unregenerate to be full members, sin abounds and pastors fear to address it. It is only the rare SBC church that exercises church discipline. To remedy this situation: Churches must counsel would-be members to be sure they are regenerate before they are admitted to full membership. Church rolls must be regularly purged of non- or only very occasional participants. Pastors must not shy from addressing prevalent sins, and churches must exercise loving church discipline per Matthew 18. Read "Who should join a Southern Baptist church?". 7:14 AM NPR aired a magnificent report this morning on one-minute miler Roger Bannister and the "Perfect Mile" - the match race between Bannister and John Landy. Read about it here. Inspiring! 9:14 AM "The administration's chronic rejection of good advice has already been revealed as the primary cause for the unnecessary deaths of hundreds of Americans in Iraq, not to mention thousands of Iraqis. History will not be kind to Mr. Bush." So writes Karen Kwiatkowski. There's no question that black students can compete academically, but they face a perverse set of incentives. First, racial preferences in college admissions reduce the incentive to work as hard as they might in high school. The fact that colleges have race preferences in admissions helps conceal fraud at the government schools that confer diplomas attesting that a student is proficient at the 12th grade when in fact he might not be proficient at the eighth, ninth or 10th grade. 8:23 AM An investor group headed by Al Gore is launching a news network that will offer "irreverent and bold" programming for young adults. Hmmm, just what that narcissistic generation needs. Kyle Williams suggests a better use of time. 7:52 AM Please pray for the Telg family. Between October and December 2003, at the Abu Ghraib Confinement Facility, incidents of sadistic, blatant, and wanton criminal abuses were inflicted on several detainees. Meanwhile, as the scandal widens, the outrage in the Middle East is only beginning. America has never been more hated in the Arab world. Tragedy is, we're all capable of such brutal behavior. 7:44 AM Employee fired for using the H word. 7:03 AM Many Americans incorrectly think that the festivities of Cinco de Mayo, held each May 5th, are a celebration of the independence of Mexico. Among other things, Cinco de Mayo is a reminder of how a native populace can thwart a formidable invading army. France brought 4,500 troops and began marching inland on its war of occupation. Their objective was to occupy Mexico City. Gen Latrille, commanding the French troops, was informed that the French would be welcomed with open arms in Puebla and that the local clergy would shower them with blossoms and would offer a special Te Deum in their honor. Mexican President Juarez assigned the defense of Puebla to Gen. Ignacio Zaragoza. Encountering unexpected opposition on May 5, 1862, Latrille attacked recklessly, and within two hours the French had expended half of their ammunition. The decisive action of the day was carried out by young Brigadier Gen. Porfirio Diaz, who repelled a determined assault on Zaragoza's right flank. The invaders, witnesses of more glorious days in Crimea, retreated to lick their wounds in Orizaba. That's how May 5 was added to the calendar of holidays in Mexico. Any lessons here today for another invading army that is facing an extremely hostile and proud populace? 9:24AM Just what we need: another Bible version. 7:29 AM The BBC today is running a survey on what people think the legacy of Margaret Thatcher should be. Well, other than the fact that she could live on five hours of sleep, I would applaud the fact that she embraced traditional American values such as freedom and limited government, unlike her current British counterpart, who leads the avowedly socialist Labour Party and who, like Bush, is recasting society into a socialist democracy. But above all I will remember Margaret Thatcher for cutting British taxes in half, for getting rid of Britain’s insidious exchange controls, and for giving public sector tenants the right to buy their houses off their local government. That there is plenty of legacy for any politician, if ya ask me. It is important for the shadow government to continue to instill fear in the American people so they will continue forfeiting their God-given rights for a false sense of security. As was recently reported, Mr. Bush and his messengers have been all over the country trying to stop the hemorrhaging by cities, counties and states over the Patriot Act. With such massive opposition to Patriot I, things are not going as planned for the global masters in their pursuit to get Patriot II passed and signed into law. Drastic measures usually follow set backs. By the way, if you think this is "unhelpful conservative bashing," wait till you read what Bill Sizemore has to say. The U.S. "liberation" of Iraq is going even worse than the Soviet "liberation" of Afghanistan. U.S. forces in Iraq, particularly marines, are employing the same brutal overkill that turned Afghans against the Russians. Such is the nature of colonial wars. History may not repeat itself, but man's follies do. We don't recognize them at first, because each time they return dressed in different disguises. There is a classical Greek word which best defines what "truth" guided mywork, and that of everyone else involved in the project: aletheia. It simplymeans "unforgetting" . . . . It has unfortunately become part of the ritual of our modern secular existence to forget. The film, in this sense, is not meant as a historical documentary nor does it claim to have assembled all the facts. But it does enumerate those described in relevant Holy Scripture. It is not merely representative or merely expressive. I think of it as contemplative in the sense that one is compelled to remember (unforget) in a spiritual way which cannot be articulated, only experienced. Hmmm, let's see here. We need to "unforget" in a "spiritual way" that can be "experienced" but not "articulated." This interpretation of aletheia would certainly be news to Bauer or any other New Testament lexicographer I'm aware of. 1. an emphasis on impressionism and subjectivity in writing (and in visual arts as well); an emphasis on HOW seeing (or reading or perception itself) takes place, rather than on WHAT is perceived. An example of this would be stream-of-consciousness writing. 2. a movement away from the apparent objectivity provided by omniscient third-person narrators, fixed narrative points of view, and clear-cut moral positions. Faulkner's multiply-narrated stories are an example of this aspect of modernism. 3. a blurring of distinctions between genres, so that poetry seems more documentary (as in T.S. Eliot or ee cummings) and prose seems more poetic (as in Woolf or Joyce). 4. an emphasis on fragmented forms, discontinuous narratives, and random-seeming collages of different materials. 5. a tendency toward reflexivity, or self-consciousness, about the production of the work of art, so that each piece calls attention to its own status as a production, as something constructed and consumed in particular ways. 6. a rejection of elaborate formal aesthetics in favor of minimalist designs (as in the poetry of William Carlos Williams) and a rejection, in large part, of formal aesthetic theories, in favor of spontaneity and discovery in creation. 7. A rejection of the distinction between "high" and "low" or popular culture, both in choice of materials used to produce art and in methods of displaying, distributing, and consuming art. Perhaps this explains the popularity of the film among evangelicals, with a few exceptions, of course. Jim, we Christians lament the direction of our society and its influence upon our children, yet I believe we continue to do things that contribute to the problem, starting especially with our own lukewarmness toward God and our responsibility as parents. Somehow we have come to feel that dropping our kids off at Sunday School or youth group fulfills our obligation to "train up a child in the way he should go" when in reality it merely sets the stage for the creation of a "generation gap", courtesy of today's youth culture. Unless we parents wake up, get our eyes back on God, and get focused on our parenting, the problem will continue. We need parents who understand that parental accountability for their children cannot be delegated to others. Realizing the buck stops with them, we need parents who will make sacrifices for their kids. We need parents who are willing to take bold measures, Jim, for gone are the Puritan days when society was kind to kids and the things of God. Our children need protection while they are young so they can stand strong for God on their own later and so they can reach their potential for his kingdom. our kids are suffering and many Christian parents have adopted the world's way of doing things for too long. I urge you as a church to continue to think biblically and boldly on these issues. Even if you disagree with the solution I propose or the reasoning I give, the very discussion of these realities among parents may motivate parents (esp. dads) to do whatever it takes to recapture the hearts of their children. It will take time, humility, courage, and much prayer, but it is never too late! Hang in there! 11:30 AM USA Patriot Act naysayers up to 300 ... and counting. My take? Go here. 10:24 AM Just a miscellaneous thought, but it seems like we got a ton of rain this weekend, though the weather is starting to clear, which means we can go ahead with attending to the horses' needs (hoofs and molars) this afternoon even if the pasture will be a bit soggy. When you live in the country you never take the rain for granted, especially when you've just planted corn, beans, and sunflowers. After several years of drought in southern Virginia we are almost back to normal water levels, and each rain storm brings much needed moisture to the region. Today I was reminded of Matthew 5:43-45: "You have heard that it was said, 'Love your neighbor and hate your enemy.' But I tell you: Love your enemies and pray for those who persecute you, that you may be sons of your Father in heaven. He causes his sun to rise on the evil and the good, and sends rain on the righteous and the unrighteous." This verse is sometimes quoted out of context, as if rain were a punishment. Rain is not to be seen as trouble or as an inconvenience. 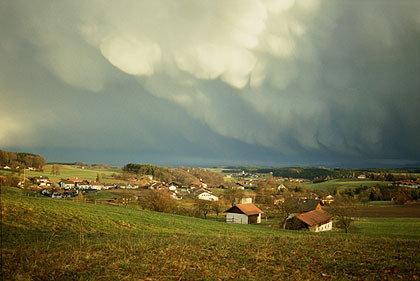 Jesus' words were spoken to people living in a land with low rainfall, people who depended on rain for their survival. To them, rain was a picture of God's blessings. God is like that - He just keeps opening the big ol' spigot of heaven and pours out blessings upon us day after day. Lobe den Herrn! 9:50 AM Heard the one about the panda who walked into a cafe, ordered a sandwich, ate it, then pulled out a gun and shot the waiter? "Why?" groaned the injured man. The panda shrugged, tossed him a badly punctuated wildlife manual, and walked out. When the waiter consulted the book, he found an explanation. "Panda," ran the entry for his assailant. "Large black and white mammal native to China. Eats, shoots and leaves." Neat reminder of the importance of correct punctuation. Problem is, what's good punctuation in Great Britain doesn't work in the U.S. (the use or non-use of the serial comma is a good example). By far the greatest impact comes in television viewing. Fully one-quarter of Internet users said that surfing the Internet has led to a decrease in TV time. For the Internet's most experienced users (those who have been online for three or more years), this number rises to about one-third, as 31% of those users say the Internet has decreased the amount of time they watch TV. Traditional media also takes a hit when looking at time spent reading newspapers. One in seven (14%) Internet users say the Internet has decreased the time they spend reading newspapers. For the Internet's veterans, this number rises to 21%, although these users are also the most likely to go online to get news. 8:05 AM Had another very good Lord's Day, this time in historic Roxboro, NC, at the Front Street Baptist Church, which is heroically carrying on an inner-city ministry to the largely ethnic community in which it is located. I spoke on "Jesus and the Age 30 Transition" (a call to radical obedience) and afterwards dined with this small yet vibrant congregation. The pastor, Lance Murphy, is a student of mine at the seminary and is currently taking my Intermediate Greek course on 1 Timothy. We share many interests. He grew up on a farm riding horses and is also a member of the Roxboro Sons of Confederate Veterans Camp, where I spoke recently. I also met many church members who were keenly interested in the Hunley funeral. I pointed them to the numerous photos of the event published at Dixie Daily News. This weekend my son and I were able to complete the stairs and loft on our new goat pen. So all in all, a busy and productive weekend. This week's goals are to trim the horses feet, file their molars, and put the siding up on the barn. If you enjoy the outdoors as much as we do you might like this brief essay on farm life I recently stumbled across surfing the net. It's from the September 23, 1871, edition of Harpers Weekly.